In a recent blog on CloverETL's blog called Building own components in CloverETL, we’ve seen how to build your own component than to have some sort of production-ready solution. In this article, I’d like to introduce a plugin based on things covered there – more specifically, connector to Amazon SQS – AWS’s implementation of queuing service. Unfortunately, SQS does not come with native JMS interface (although adapter is available), so we cannot connect to it using standard CloverETL JMS connector – I tried, but failed pretty bad since this adapter requires some specific configuration which can be done on Java code level only and not even supports JNDI. If you’d find any way how to use SQS via JNDI, please share your findings in the comments below – would be very helpful not only for me but for other people as well. Good news for users of version 4.2.0 and above – Amazon SDK (required for this connector to work) is bundled with the product itself so you don’t need to download it separately, others unfortunately needs to download this SDK from Amazon’s website along with some of its dependencies (all of those are provided in an attached project). Note this plugin won’t work in any version prior 4.1.0! 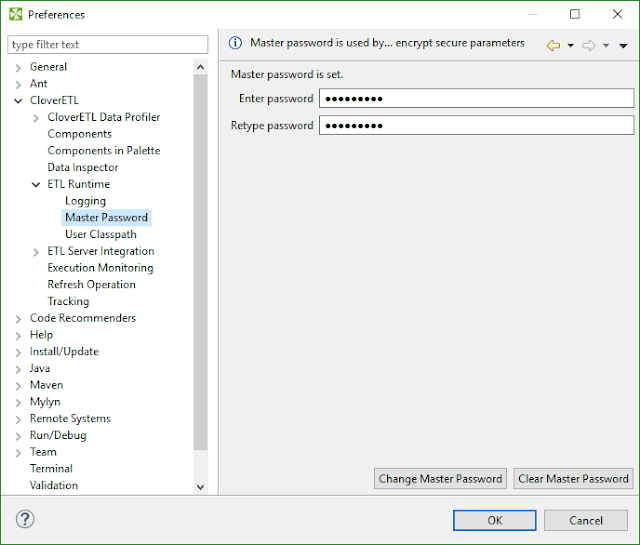 Does as its name suggest – connects to SQS interface to gets messages waiting in a queue. It is able to delete the messages upon read. AWS Secret key – key for credentials provided in access key field. Reader uses metadata propagation to push pre-defined metadata out of the component – it is not possible to change them. This component works in a batch mode, which means that it tries to read as many messages as possible through the interface until threshold is reached or all messages are read. Also does as name would suggest – flushes data stream into SQS queue. It supports both message and message attribute data stream; method of linking those two data streams is very similar to algorithm used in ExtMergeJoin component – this means that if optional second input is connected to the component, both data streams needs to be sorted! This component is NOT running in batch mode – every message is sent separately which may slow down processing. This new improvement makes it much easier to partition data and process in parallel with a simplified solution. 1. Easier Maintainability - Only have to make the change in one location versus the number of partitioned data flows. 2. Performance - By allowing CloverETL to partition your data and process in parallel, your performance will improve drastically. Based on the above example, I cut my processing time down by 75%!! I am soliciting ideas for topics of discussion from all of our readers. What features of CloverETL are you most interested in? Which topics do you regularly struggle with? Are there challenges that you face on a day to day basis when developing your solution in CloverETL? We would like to hear from you! You can either comment below this blog post, or send an e-mail to cloveretltalks@gmail.com. Have you ever come across an XML file without an XSD that you need to process? I am sure you have! We encountered this first hand a few weeks ago. We received a number of XML files (more than 100k for those of you keeping track) where we had no idea whether the structure was the same throughout the entire data set. 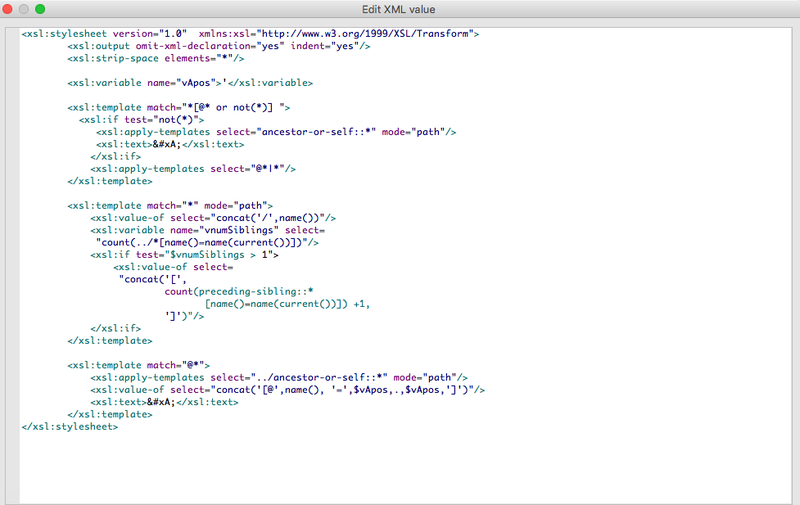 How can you make sense of each XML element without a proper XSD file? We built a clever little solution in CloverETL that will read each XML tag in the entire dataset, the level of each XML tag, and generate an XPath for each XML element that can be used for processing each XML file. Does this sound interesting yet? We were able to accomplish this using the XSLTransformer. Above is the main part of the graph which we used to read the XML tags. 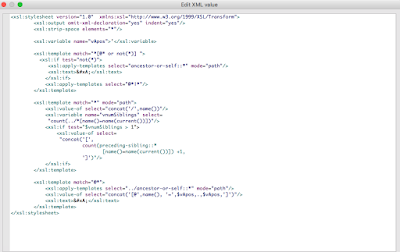 Below is the Xslt definition that we used within CloverETL in order to parse through each XML tag. Once the tags have been processed and each XPath was created for your elements, you can then process your XML files with the CloverETL XMLReader component.